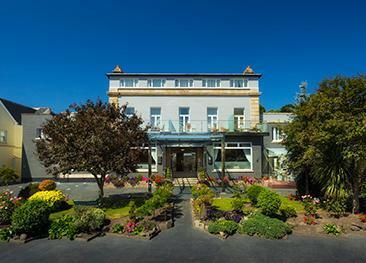 The hotel features a selection of dining options, from the Harbour Room Carvery to the cosmopolitan Cafe Bar. The hotel's rooms are modern, spacious and ideal for relaxation after a day's exploring or shopping. Standard rooms: choice of double or twin. Executive rooms feature more space, a contemporary design, a fridge and bathrobes. Executive double room have walk-in showers, executive twin rooms have a shower over the bath. Premier Rooms are very large rooms featuring a raised lounge area, views across St Helier marina, a fridge and separate walk-in shower. All rooms are equipped with flat-screen television, free WiFi, direct-dial telephone, in-room safe, air-conditioning, trouser press, hairdryer and toiletries from The White Company. Great and popular classic buffet food including the popular Friday seafood buffet. Open for breakfast and dinner. Informal café open all day, with free internet access. A traditional town pub serving guests and locals. Open 11am - 11pm. 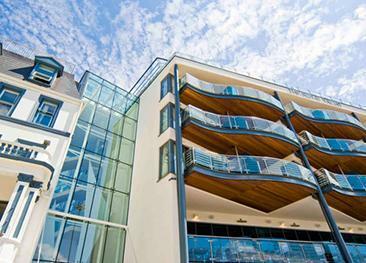 The Pomme d'Or offers wheelchair accessibility to all public areas, a lift to all floors. Premier Rooms have step-in showers. Electric scooters can be stored upon request. 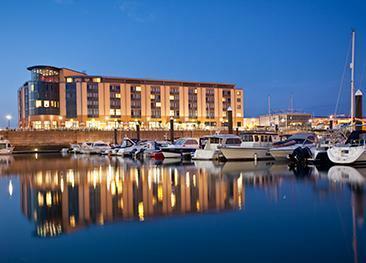 The Pomme d'Or Hotel is ideally situated in St Helier's Liberation Square close to the waterfront and to the marina. This is a prime location to explore the town centre with its fine selection of shops, cafés, bars, restaurants and historical sites. The proximity to St Aubin’s Bay beach and to the main bus station allows for easy out of town excursions. 3 pm / 11 am. Seamless and very helpful at all times. Loved the hotel - great location, comfortable rooms, excellent breakfast and helpful, friendly staff. Lovely hotel. Excellent breakfast. Very nice staff. The travel went like clockwork with all bookings including golf clubs sorted in advance with no problems at all. Well pleased with the hotel itself for both accommodation and food also it's location being in central St Helier was great. The staff were all very courteous,polite and helpful also remembering my name from the first day which impressed me.